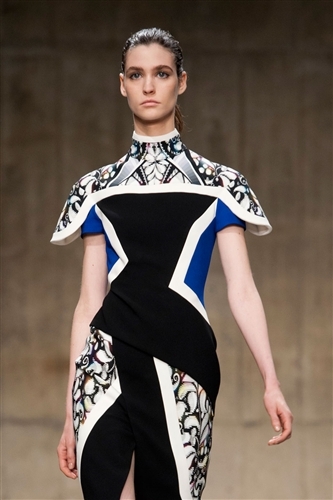 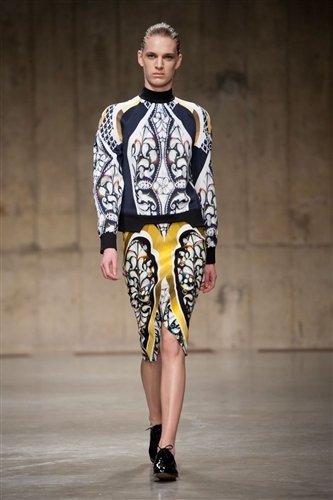 Peter Pilotto and Christopher De Vos together form the coveted label, Peter Pilotto and have built a reputation for redefining elegance and for their flawless print placement. 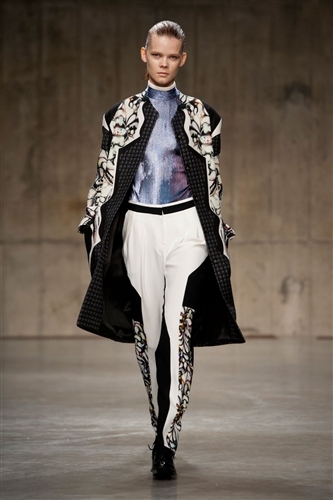 Inspired this season by Spanish renaissance artists the collection made a bold entrance with bolero inspired boxy jackets, blown up Spanish embroidery and graphic, geometric prints all featuring a restricted but effective colour palette of earthy and jewel tones. 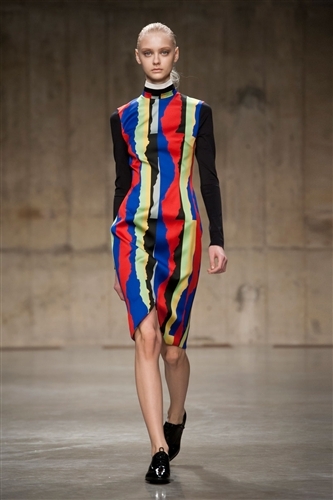 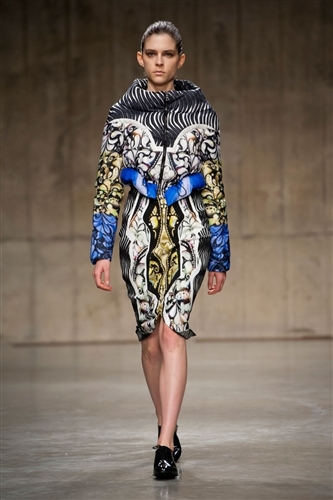 The label’s strength has always been in structure and print placement and this season their thoughtful tessellation of modernised prints effectively hinted at womanly curves, which were otherwise well disguised by the oversized, mannish structures. 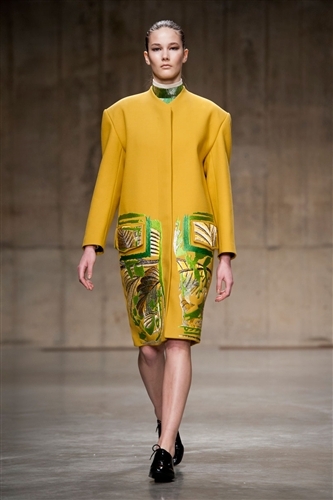 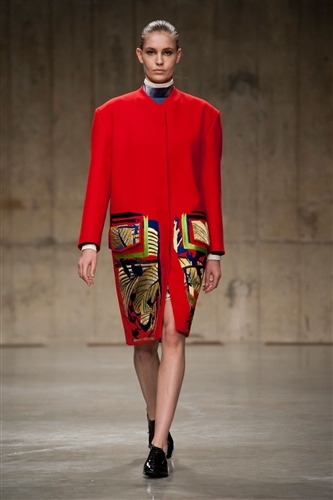 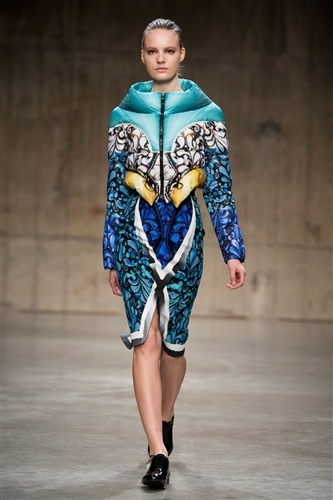 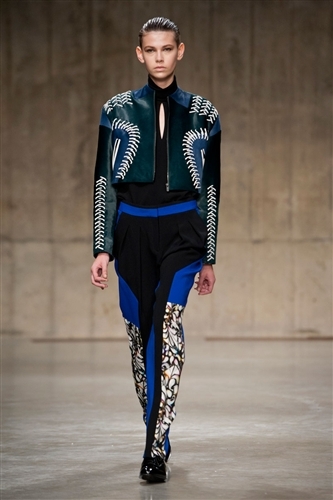 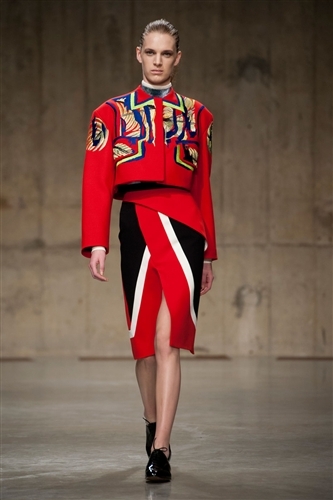 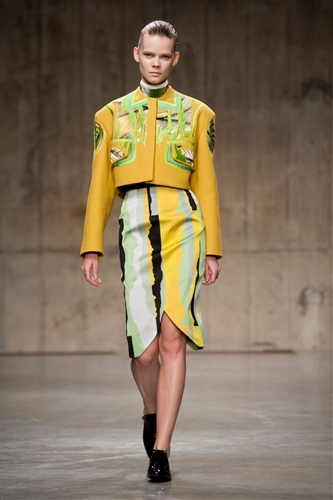 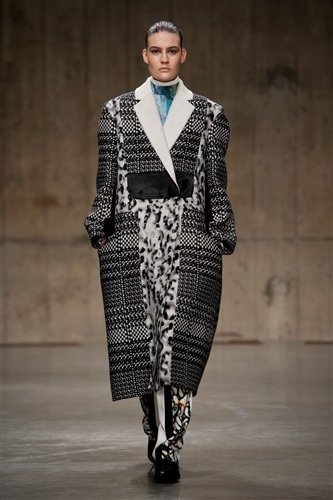 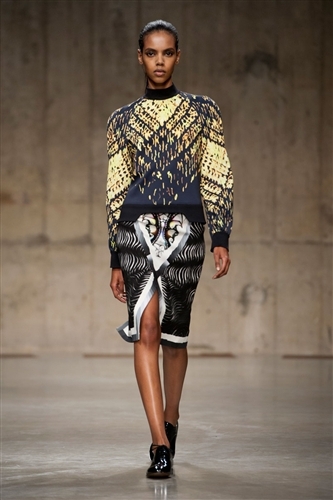 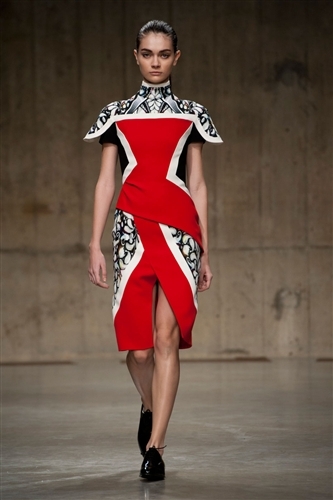 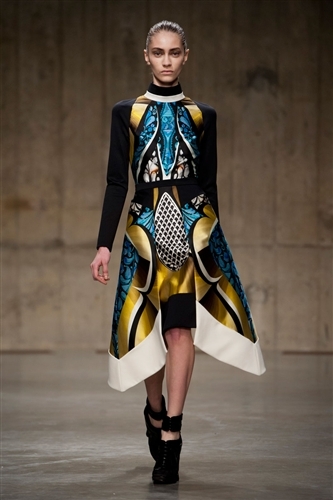 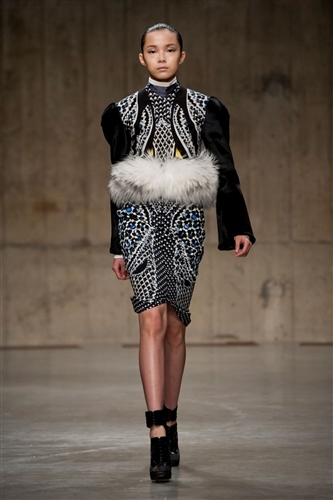 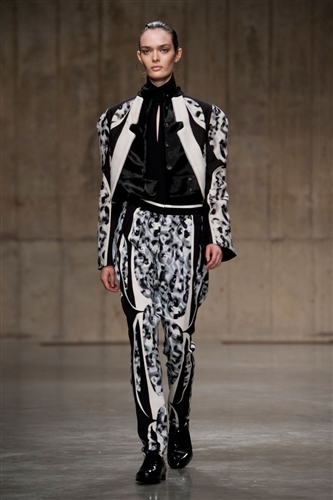 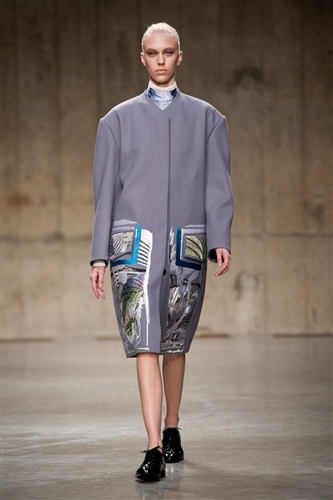 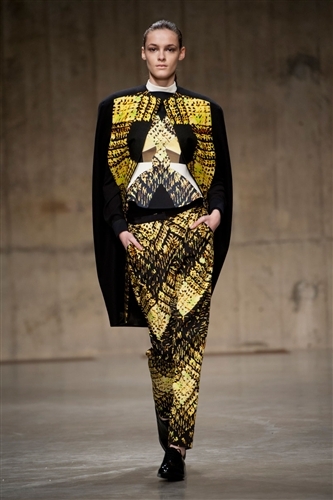 The prints, so intricately placed together created an almost insect like effect. 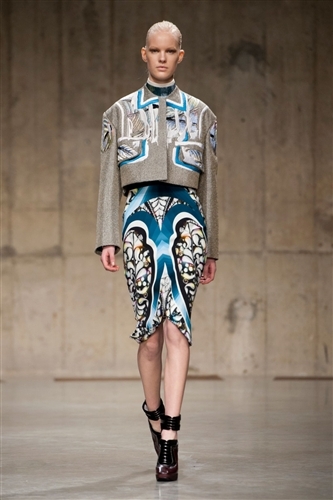 The collection played to the design duos strength but variety was added this season through a patchwork of textures and embellishments like oversized stitching, fur and crystals.